[email protected] program supports free-to-play, microtransactions, and premium pricing. Microsoft continues to work with independent game developers for the Xbox One, announcing they will treat indie games like all other titles. Chris Carla, Microsoft's portfolio director for digital games, said the [email protected] program enables "every business model that any other game on Xbox One has." Games are no different and will all have "full Gamerscore, full Achievements, can take advantage of SmartGlass, Kinect - if you can do it with an Xbox One game, you can do it with anything that comes through the [email protected] program. That's like a fundamental tenet of the program." 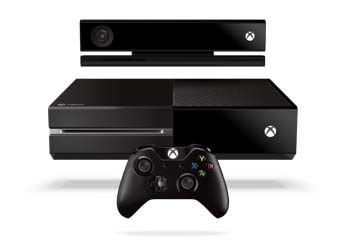 The program gives independent developers retail Xbox One consoles as developer kits. While Xbox One will not have the functionality for self-publishing by launch date, Microsoft stated it will be available later on. Self-publishing will also have no fees for developers to pay. The independent game scene has grown over the year. Unsurprisingly, Microsoft, Sony, and Nintendo are all competing for the trust of independent game developers after pushing them away in the past. With more ways to fundraise and use social media to spread the word, independent developers are able to more easily create the games they want to play and try things that major AAA titles are not willing to risk doing. Ignoring the presence of indie games can only hurt major publishing companies. Microsoft, Sony, Nintendo, and now the OUYA as well would be foolish not to get more independent developers publishing on their consoles.